Embracing all that’s simple and sweet about farmhouse style—without the farm! Hi there! Just thought I would share the fall decor in our living room today. It’s really not much, but as I mentioned in my last post, I like to keep seasonal decor simple. I think it’s really easy to “over-do” seasonal decor and a room can end up looking too busy and cluttered. For me, neutral and minimal is the way to go, as certain elements are allowed to stand out instead of getting lost in all the busyness. Here is what I did with our mantel this year. I love how a grouping of various sized candlestick holders look, so I wanted to add some on opposite ends of my mantel. I had been looking at these candlestick holders at Pottery Barn for a while now, as I really loved the elegant, ornate profile and black metal. They come in a set of four, and, at first, I found them rather expensive. I scoured local decor stores and the internet for a less expensive version, and really couldn’t find what I was looking for. The sets I did find that were somewhat similar were actually even more expensive than the Pottery Barn set. So, when I saw that Pottery Barn was having a 20% off sale one day, I snagged them up! I am glad I did too, as they seem to be of really good quality, and just as beautiful in person as they are online. I purchased the taller candlestick holders with the more simple profile at Hobby Lobby, and they really accent the Pottery Barn holders nicely. They come in three different heights, and they were 50% off! They are super heavy and really well made for the price. I found the cute glass bottles with the cotton stems at Hobby Lobby as well. I bought two, as they were also 50% off, and decided to also place them at each end of my mantel, next to the candlestick holders. I think they look great together! I finished off my fall mantel by adding some sweet little sweater pumpkins here and there. I found these at a local antique and decor show, and I just love them! The neutral colors perfectly fit my style, and the stems are actually real! I wouldn’t mind finding a few more to add to my collection. Aren’t they cute? They also add coziness and texture as well, which is essential for giving any mantel a fall vibe. As for the remainder of the living room, I simply placed my largest sweater pumpkin on my coffee table under a glass cloche. Easy right? That’s really all I am going to do in here as far as fall decor goes. It’s just enough! Oh, one more thing–I added a couple of new rugs to our living room. The new 8×10 ivory braided rug is actually the same one that is in our family room. I layered this jute 4×6 rug on top, and I love how the darker natural color of this rug contrasts with my white coffee table. Well, that’s all for now! Thanks for stopping by today–can’t wait to share some more fun stuff with you very soon. Now go get some fall decorating done! And have fun!! 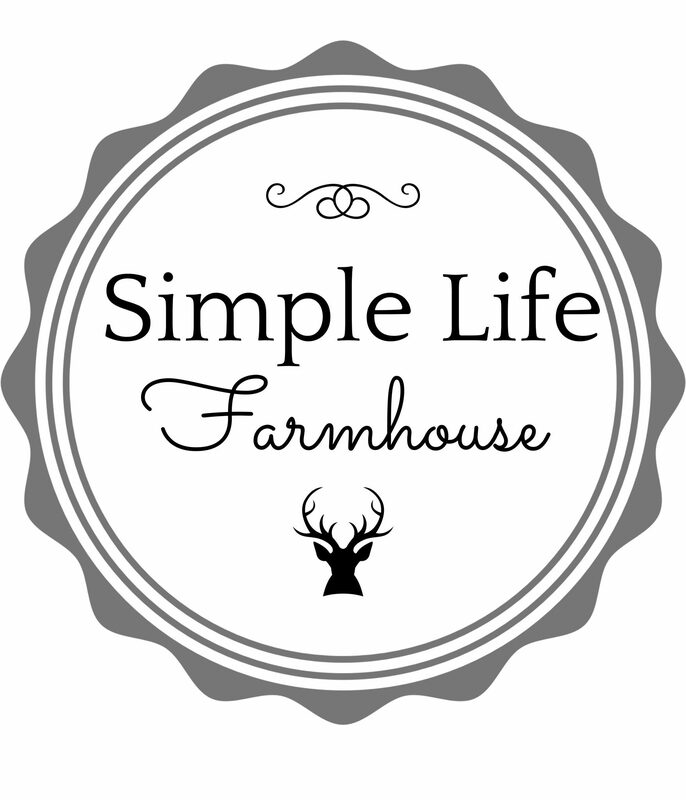 Enter your email address to follow Simple Life Farmhouse and receive notifications of new posts by email.